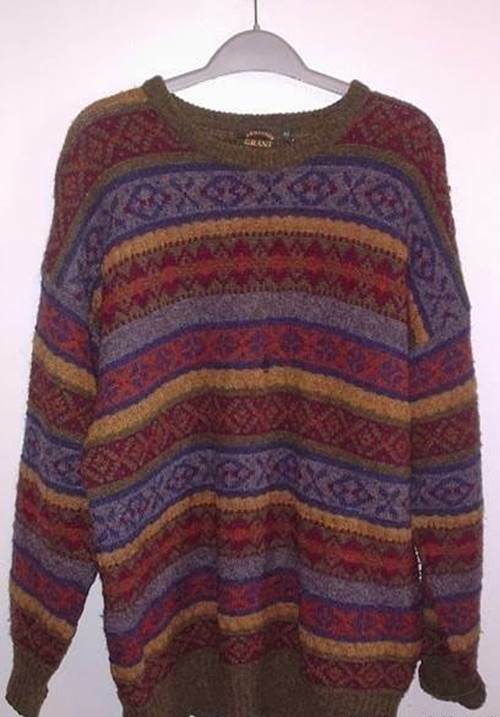 Do you have some old sweaters that are sitting in your wardrobe for a long time, either because they are out of fashion or don’t fit anymore? If they are still in good conditions, why not upcycle them into something useful? 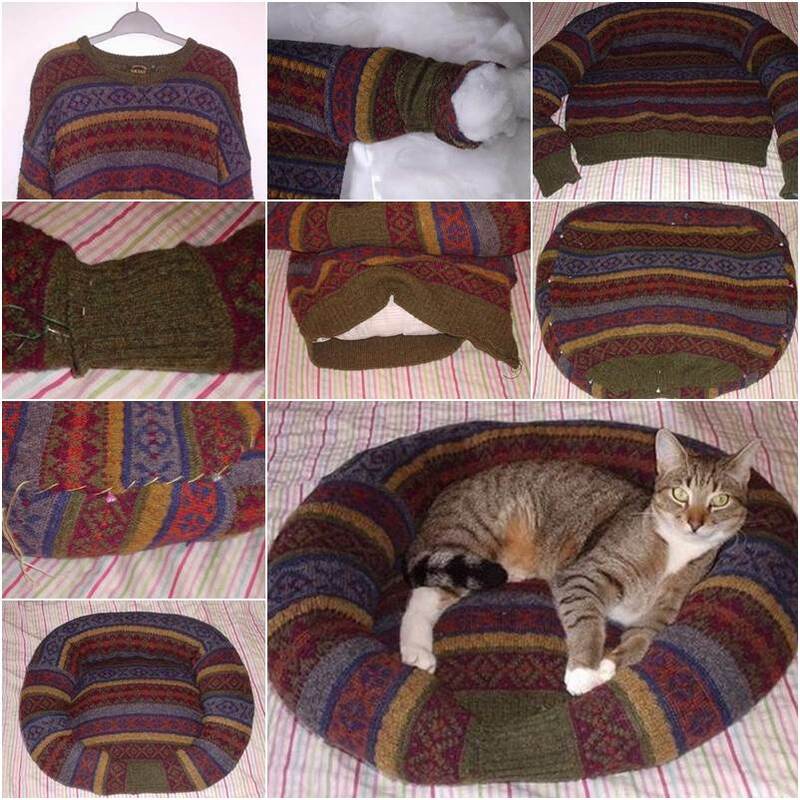 Here is a nice DIY project to make a comfy pet bed from an old sweater. It is perfect for the great little member in your household. 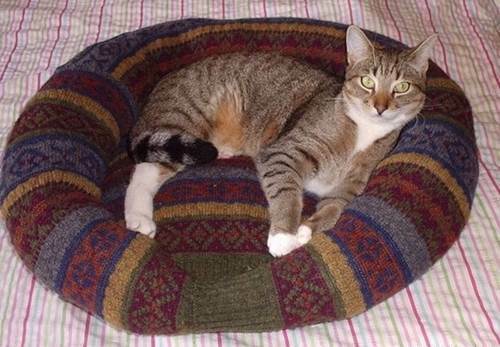 Look at how this cute kitty enjoys its new bed. It works for small dogs too. 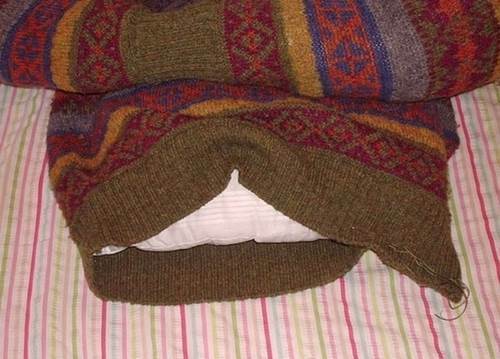 It’s very easy to make and just requires some sewing. Let’s make it for our pets so that they’ll have a nice place to rest and relax! Use pins to mark down a line under the collar and sew to close the collar part. 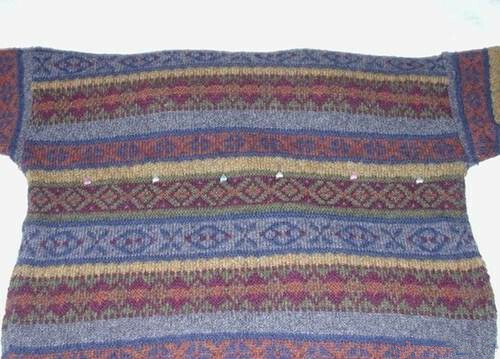 Insert the polyester fillings through opening of one sleeve of the sweater all the way through the other sleeve. Tuck the sleeves into each other and sew to connect them together. Now You have the basic mold for the pet bed. 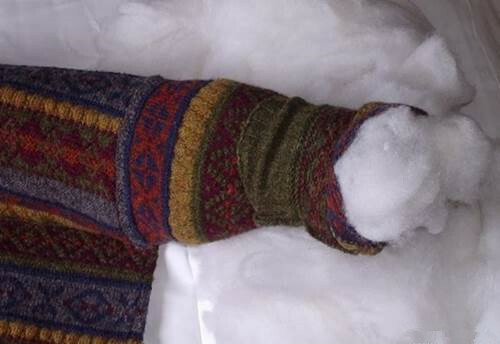 Stuff the body part of the sweater with polyester fillings as the base. 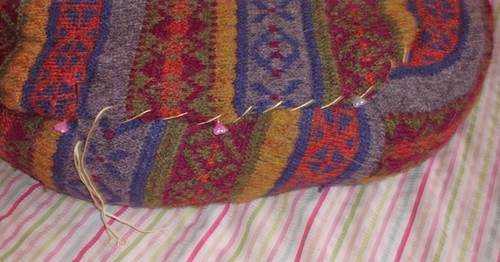 Turn the cat bed upside down, use pins to secure the edges and sew around the edges of the base. Turn the bed back and it’s ready for your cat to enjoy! 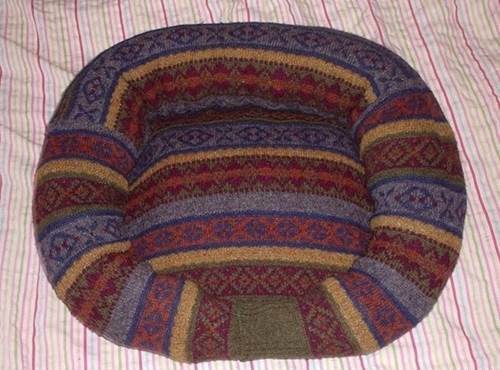 4 Responses to "DIY Comfy Pet Bed from Old Sweater"
Oh, this is great. 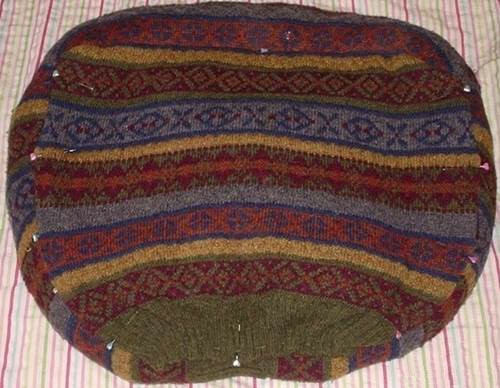 My kitty doesn’t use the basket I bought him; maybe he’ll like the round sweater bed instead. Thanks! This is absolutely brilliant!! 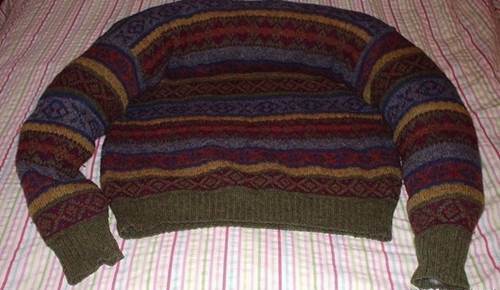 We have old sweaters, stuffing, old pillows… soooo making these for our four (yes, 4! that’s a long story!) kitties for Christmas! Thank you so much for a “purrrrfect” idea! (couldn’t resist!) 🙂 Have a Happy Thanksgiving and wonderful holiday season!!!! Thank you very much for your interest in this post. Happy Thanksgiving and Happy holiday to you!